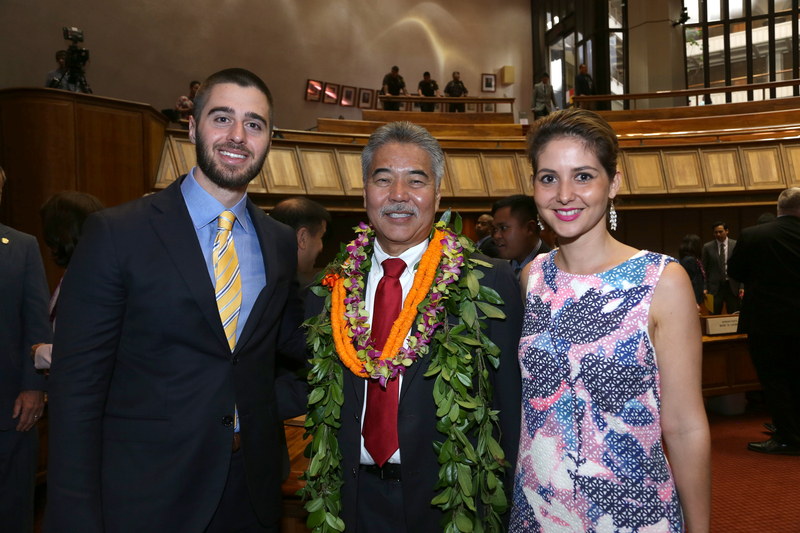 Governor Ige with Shaka Tea owners Harrison Rice and Bella Hughes in the House chamber. Innovation means developing new clean energy technologies that will create engineering and other high-paying jobs while reducing our dependence on fossil fuels and protecting the ‘āina. Innovation means remaining on the cutting edge of healthcare. That’s why I’m proposing $5 million in each of the next two years to support the Cancer Center of Hawaii. Innovation also means new agriculture technologies, new local fashions, new apps for computers and phones, and locally created digital media and film designed for multiple platforms. A recent report, sponsored by the Hawaii Business Roundtable, found that innovation jobs already make up over seven percent of Hawai‘i’s economy. A Kaufmann Foundation report ranked Hawai‘i 12th in the nation for startup growth, just below New York and above California. Among our local success stories is the business startup Shaka Tea, owned by Bella Hughes and her husband, Harrison Rice. They have taken māmaki leaves, grown in Pahala on the Big Island, and used them to grow an exciting new local company. The benefits of the māmaki plant, native to and found only in Hawai‘i, are well known among native Hawaiians. But to make māmaki commercially viable as a “ready to drink” beverage, Bella and Harrison had to find a way to extend its shelf life. Today, they are not only well established in local markets, but are looking to expand to the West and East Coast, Japan, and on the Internet. 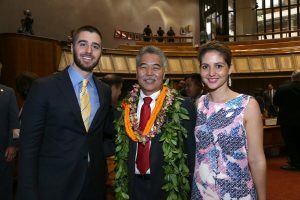 That kind of local success is the reason why I’ve been so excited about the HI Growth Initiative, the state program to foster entrepreneurism in Hawai‘i. From virtually nothing four years ago, local entrepreneurs today are supported by six startup, accelerator programs, with three of them nationally recognized. In fact, about 145 start-ups have gone through the accelerator programs. That’s why the budget includes additional funds for the HI Growth program. In addition to HI Growth, the state has undertaken other initiatives that utilize innovation to grow the bottom line. Our goal of generating 100 percent of our electricity from renewable sources by 2045 is good for both our economy and the environment. We lead the nation in moving toward clean energy in many areas. Together, on O‘ahu, Maui and Hawai‘i Island, we currently get 25 percent of our electricity from renewable sources. On Kaua‘i, the figure is 40 percent. With 65 renewable energy projects across the state, we are on schedule to meet our 2020 target for increasing renewable energy use with more coming online and planned. 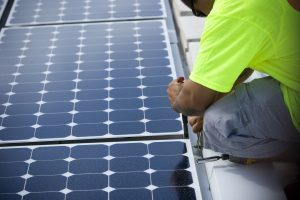 Earlier this month, the state’s largest operating solar facility in Waianae successfully placed 28 megawatts into commercial operation. 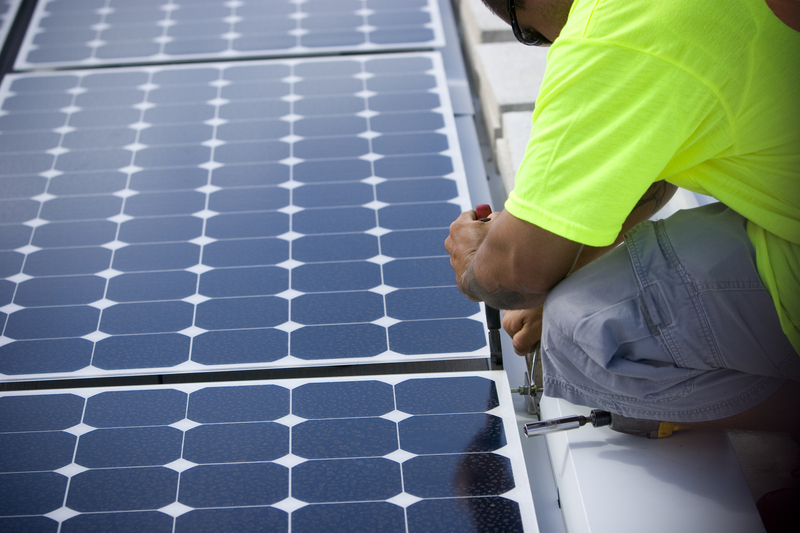 And new agreements promise an additional 61 megawatts from two solar facilities on O‘ahu. Reducing our reliance on fossil fuels in transportation is a key part of our renewable energy goal. That’s why my administration is participating in the Drive Electric Hawai‘i Initiative. We will use funds from the state’s portion of the Volkswagen settlement over emissions fraud to support the changeover to state-owned electric cars.